Brandy and Andrew first met after being set up on a blind date by friends. 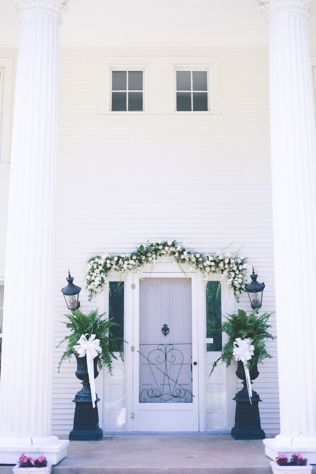 Flash forward several loving months and the two were set to say “I do” in a chic, Southern destination wedding. 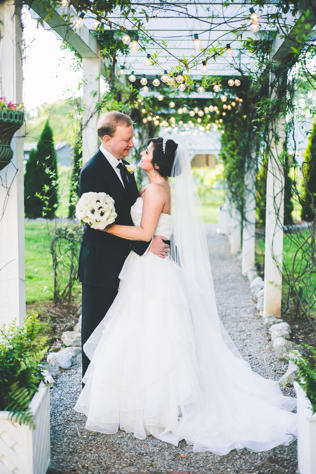 Deciding on their Mooresville, Alabama setting was refreshingly simple. “I grew up in Alabama very close to our venue and my husband also has family there,” explains the bride. Not surprisingly, Brandy and Andrew’s friends and family were extremely supportive of the couple’s decision. 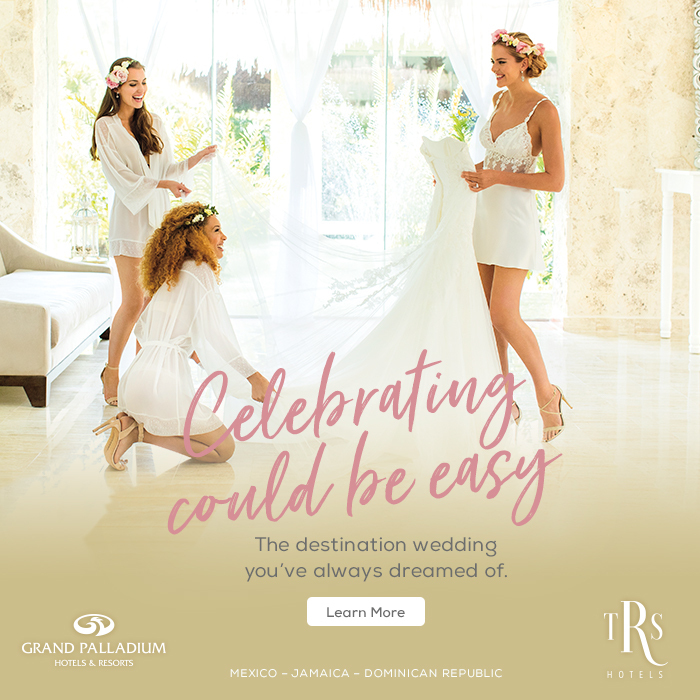 The couple opted out of hiring a wedding planner, so they frequently visited their chosen destination to dial in all the planning details. “The only issues were planning,” says Brandy. “I would go over and stay with my family and plan. 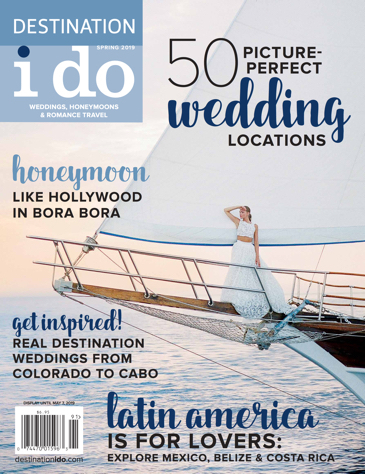 We were there about once a month.” When it came to deciding on and booking vendors, the couple largely relied on referrals. They explained that this would be have been an excellent area for a wedding planner’s help. 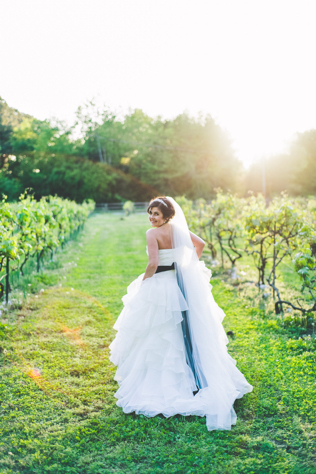 We asked the bride how she was able to communicate and work with her vendors from afar. “We communicated a lot by phone and email. I also would plan to meet with them when I was in town.” A critical part of this process for the bride was securing a proper hair and makeup trial. Thanks to the couple’s hard work and their gorgeous venue, everything came together perfectly come W-Day. “I loved it and wouldn’t change anything,” says Brandy. The couple’s guests also had an easy time of it since most of them drove to the event and the couple had previously blocked off hotel rooms.